Being in a relationship comes with all sorts of challenges that requires one to be less selfish and more considerate about the union. It becomes even more tricky when you're married with kids. The days of splurging on yourself grow limited as you need to put the needs of your family before yours. So how does a publicly known couple like Toll A$$ Mo and Mome handle their finances as a family? Well, considering that the couple's two kids TK & Khumo are also now working individuals and contribute a bit of income within the family, the Mahlangu's have figured out a way in ensuring that no one within the family overspends on their hard earned money. 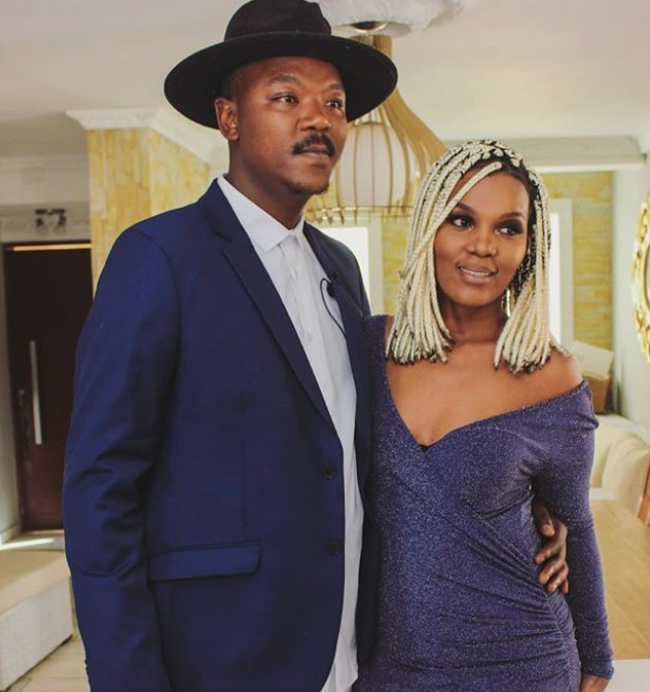 During their interview on Metro FM's The Drive, Tol A$$ Mo confirmed that Mome has played a pivotal role in managing the family's finances ever since she became their manager. He also admitted that he used to be terrible when it came to handling money; however, his wife/manager has created a financial system that has allowed them to spend their money responsibly. "I'm the worst with money, I'm a gadget spender but what I've come to realise with Mome becoming my manager is that she manages myself, TK & Khumo and she kind of manages our financial income, and now we get paid salaries. Everybody gets their salaries at home and Mome makes sure that everything runs straight, we don't bother each other anymore when it comes to finances 'cause before I'd spend money on the account not knowing that it is for something else." The couple also spoke fondly about investing in their passion so whenever they embark on a business venture, the first thing they take into consideration is what are they most passionate about and how they can convert that passion into a business that will bring them income. Tol A$$ shared that he is working on a business venture that involves gaming as he is passionate about the gaming world and gadgets, whereas Mome is launching her own comedy management company. Mome has already recruited a few ladies into her company, one of those ladies include The Funny Chef who has now become a household name thanks to her comedy skits on social media. So there you have it folks, if you want to make money without the thought of having to slave for it, follow your passion and enjoy having fun while making some serious cash.